We visited last night to celebrate my wife’s birthday and were bowled over!! Chef and proprietor Daniel, who has achieved much at still a young age, concentrates on a select menu using only the finest local ingredients to serve up high quality Irish cuisine. Loved the fact that there was ice cold water to drink at out table and my wife had a mini bottle of Zinfandel,which she loved. We were only planning main courses but Daniel sent us out chicken liver parfait with melba toast to start. Now both my wife and I are not huge pate fans-but this dish was very well presented and the parfait was very creamy but alas it was not to our tastes!!! Also it was served on black plate and I’m not keen on coloured plates as colours can diminish the look of the food-plain white round crockery all the time. 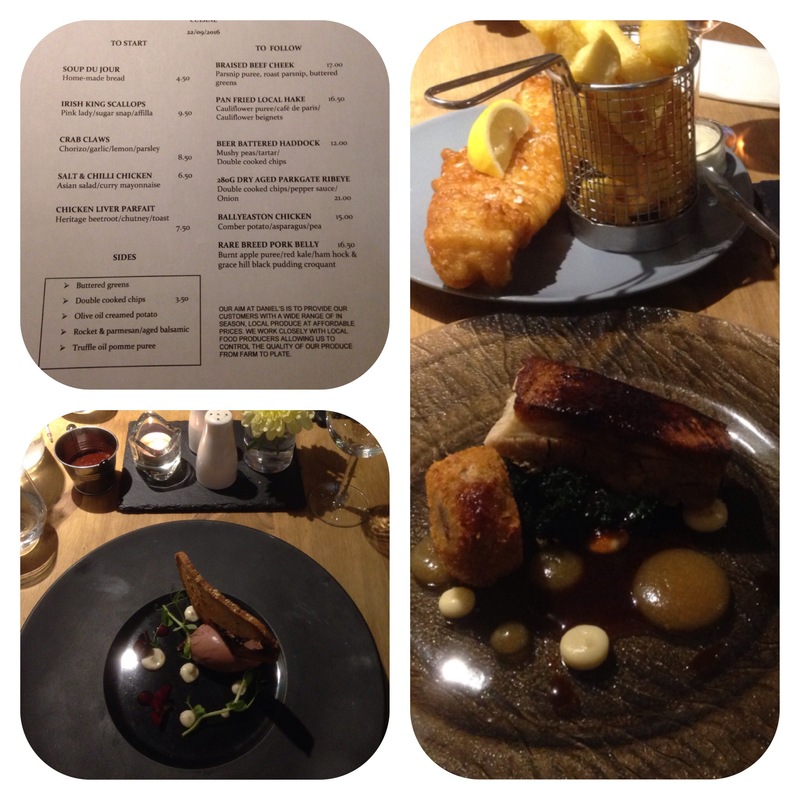 My wife’s main course was Haddock and chips with mushy peas, tartare sauce and a wedge of lemon for my wife, whilst I had Pork belly with kale, apple purée and ham hock/black pudding croquant served with olive oil creamed potato. Presentation was good but on coloured plates so couldn’t clearly make out my dish fully. Taste wise the fish was perfectly cooked and chips fat and crispy. The pork was exceptional as was the croquant and the purée was superb. The olive oil creamed potatoes worked really well. 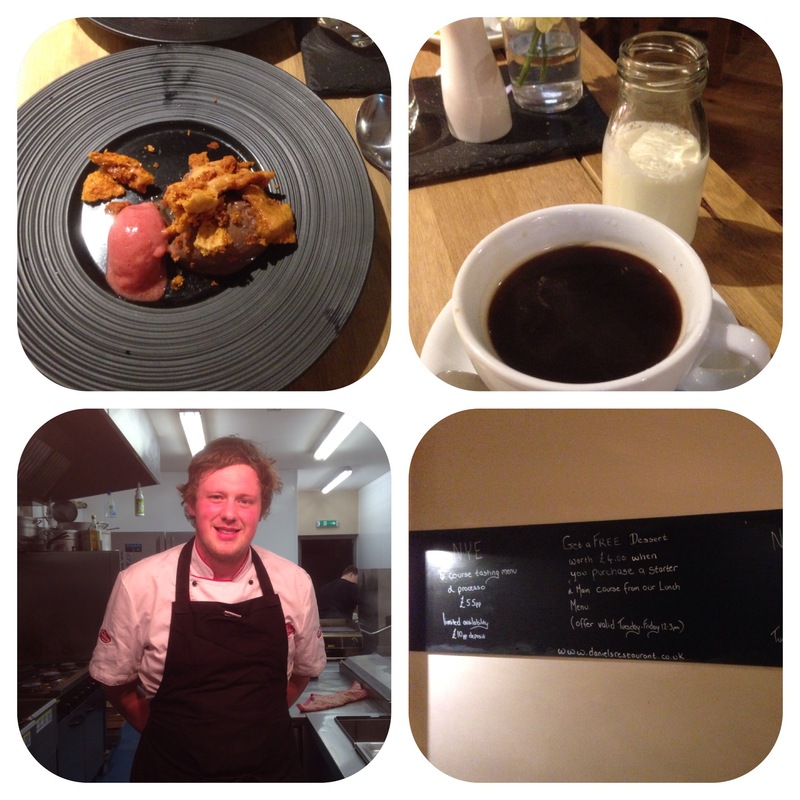 Two delicious dishes, excellent taste and portion sizes-would have liked a bit more purée. After dinner Daniel sent us a divine dessert of chocolate parfait with raspberry sorbet and homemade honeycomb, which we found room for and was a most perfect way to end a wonderful meal. I washed it down with an Americano coffee and fresh cream. The service was brilliant, our young lady server was attentive, professional and charming. When we checked in it was on a laptop and when we asked for and paid the bill it was done on a tablet using a PayPal card machine and I even got my receipt emailed to me-how very modern!! 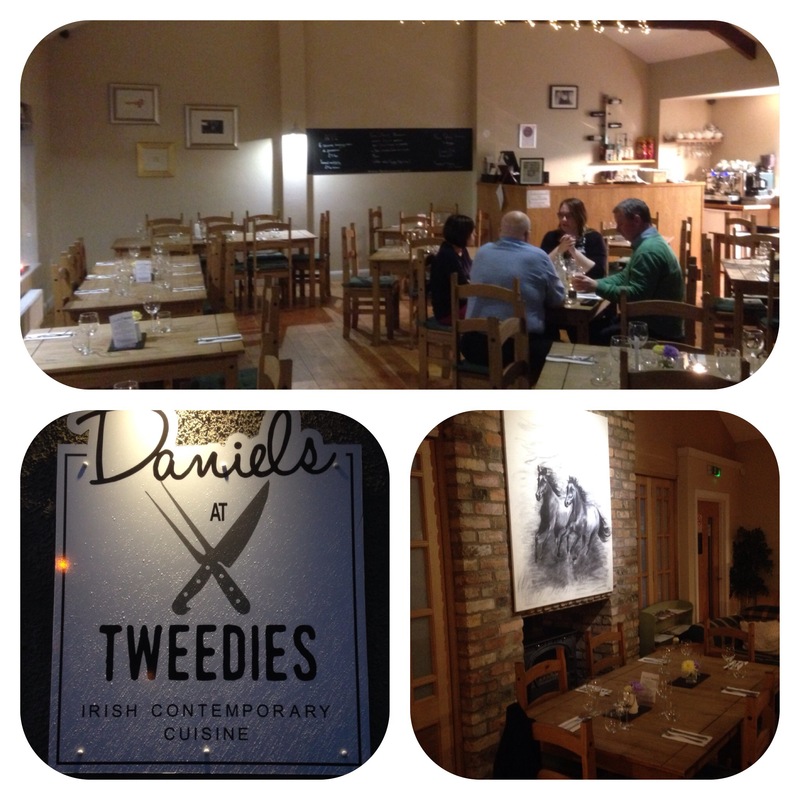 We really had an amazing evening and would recommend Daniel’s at Tweedies for quality Irish cuisine. Great Article. article . I Appreciate the analysis , Does anyone know if my business could grab a blank TSP-1-C form to use ?